Used in multiple applications the Leister TRIAC-ST will enable you to weld vinyl & safety flooring with a professional finish. 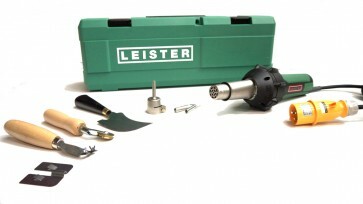 The Leister TRIAC-ST Flooring Kit includes all the necessary accessories to be able to weld floor vinyls in the most cost effective way. Fundamentally based on the TRIAC-ST the kit includes the hot air tool of choice for trades professionals worldwide.